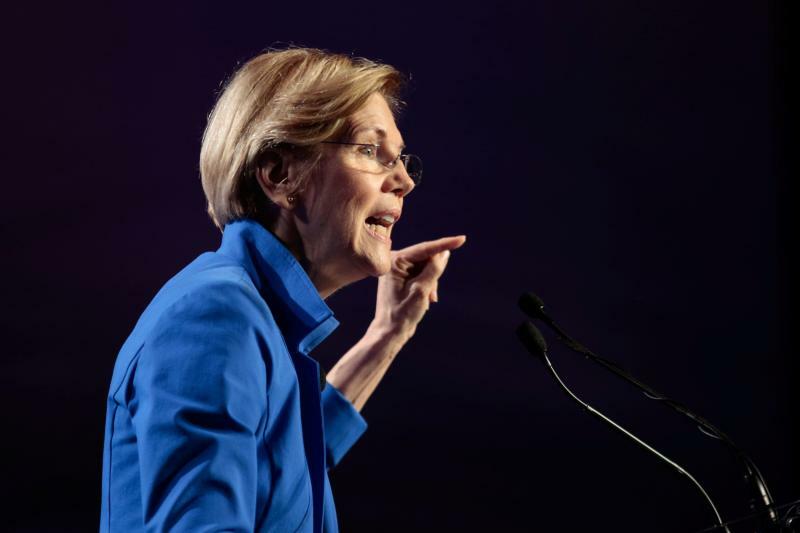 The rule, put forth by the Consumer Protection Finance Bureau― the consumer rights agency that Warren spearheaded― paves the way for class-action lawsuits against big banks, credit card companies, and other lenders by banning forced arbitration provisions. Such provisions, often in the fine print of contracts, require disputes to be settled out of court and are seen as friendly to financial institutions. Republicans on Tuesday voted against the regulation in a 51-50 vote, with Vice President Mike Pence breaking a tie. Tonight@VPPence & the@SenateGOPgave a giant wet kiss to Wall Street. No wonder Americans think the system is rigged against them. It is. If the@SenateGOPreverse the@CFPB’s rule tonight, they won’t be promoting a conservative agenda. They’re promoting the banks’ agenda. In 2007, as a Harvard University professor,Warren first floatedthe idea of the CFPB as a response to the financial crisis. The agency was ultimately established as part of 2010′s Dodd–Frank Wall Street Reform and Consumer Protection Act. In July, the CFPB said that around $12 billion had been given back to consumers as a result of its efforts, which include new regulations as well as enforcement of existing ones. Earlier this year, the watchdog sued Navient, the nation’slargest student loan company, alleging it misleads borrowers. “As a result, companies like Wells Fargo and Equifax remain free to break the law without fear of legal blowback from their customers,” Cordray said, referring tothe manyclass-action lawsuitsaimed at the two corporations. In Wells Fargo’s case, employees created as many 2 million unauthorized accounts in customers’ names. Equifax was hit with a massive data breach that led to millions’ of customers social security numbers and other sensitive personal information being leaked.